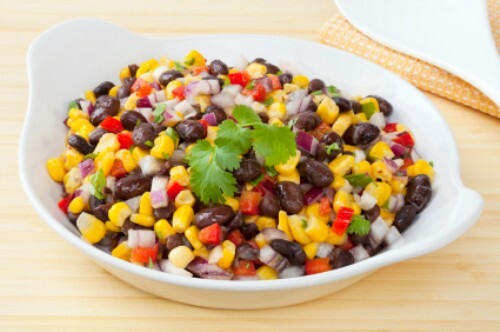 In a large bowl, combine corn, black beans bell pepper, and onion. In a smaill bowl whisk together oil lime juice, ground cumin, salt, and pepper. Add to corn mixture, tossing gently to coat. Cover and chill at least 2 hours before serving. End.